Skiing. The Grand Tetons. Bison. These are just a few of the things commonly synonymous with the Jackson Hole name. In fact, many of these same things were on my list of reasons for wanting to visit in the first place. But now that’ve been, I’ve got a new one to add to the very top of the list: creative culture. Y’all. If you are not making the creative culture of Jackson Hole a priority of your travels there, then you’re doing this Wyoming town all wrong. Yes, of course there is skiing. Yes, there is wildlife. Yes, you should check it all out. But you know what else you should check out? The art galleries, the theatrical performances, the music festival, the locally made goods….There is an unbelievable wealth of creative work and projects happening all around Jackson Hole by incredibly passionate, innovative and talented people, and honestly, it would be a shame to just ski on by it all (yes, yes, pun was obviously intended). 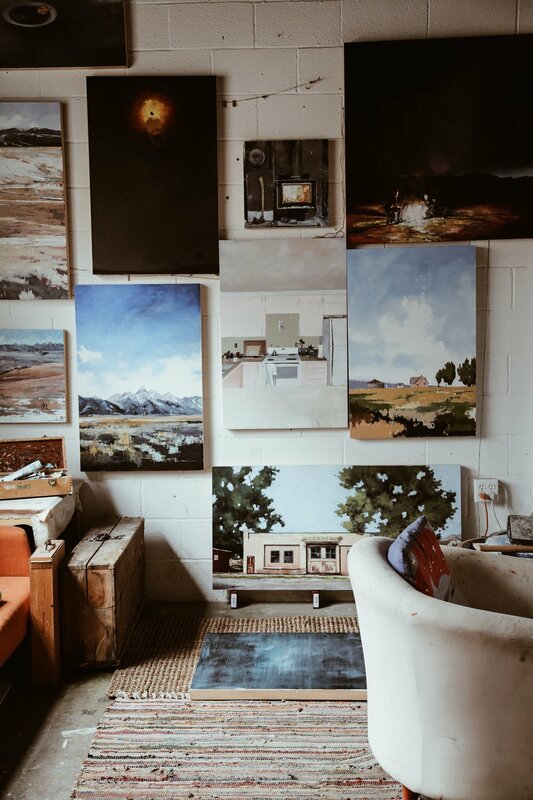 Luckily, I got all the scoop on alllllll the things on my recent trip to Jackson Hole with the team behind Wildly Creative, who is endeavoring to drive more awareness to the vibrant cultural happenings within their local community. 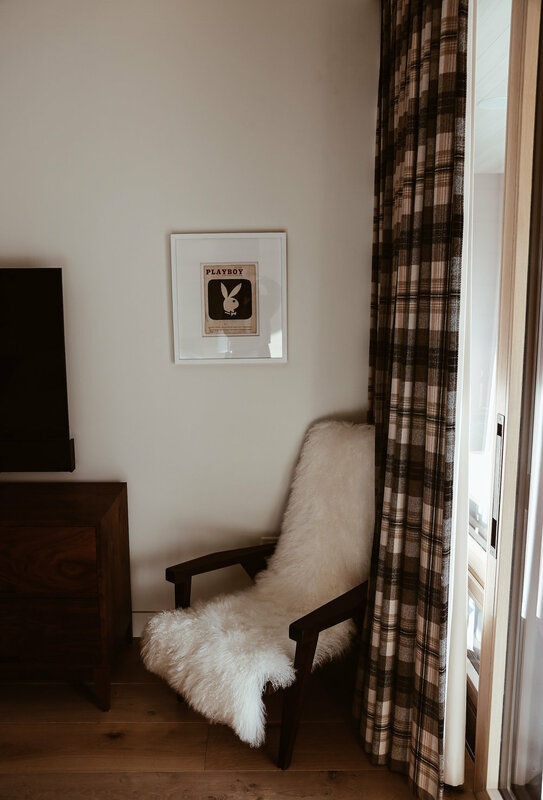 They took us on a deep dive of all things wild and creative, so I can give you all the specifics on how to incorporate cultural elements into your Jackson Hole trip, as well as my usual travel guide tips, like where to stay and where to eat. I’ll also be answering questions I received over on Instagram, like what to pack and whether the food was as good as the art scene (find out below!). So, if you’re ready to go on a wildly creative adventure, keep on reading (below). Right in the center of downtown Jackson, is the historic Wort Hotel. 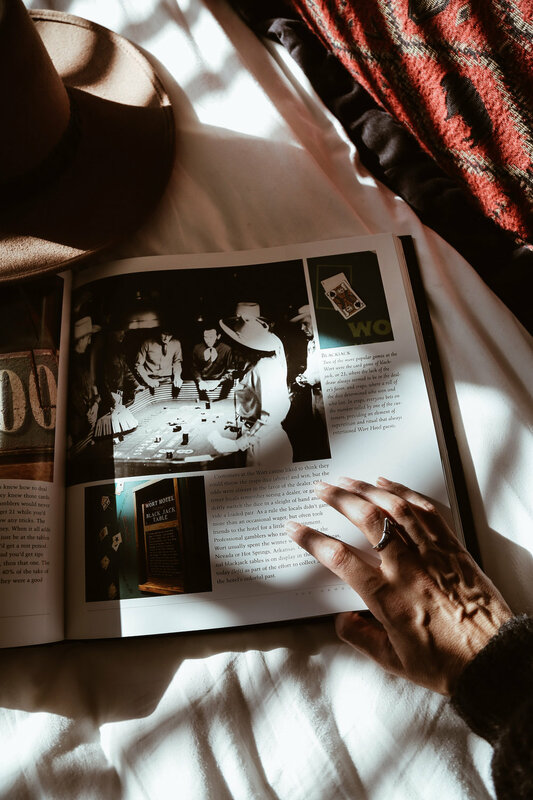 The fascinating history is enough of a reason alone to stay here, but there’s plenty of other factors to book a room here, as well. Its location is perfect for walking around downtown, exploring the art galleries, indulging in the cultural scene and going out to eat. 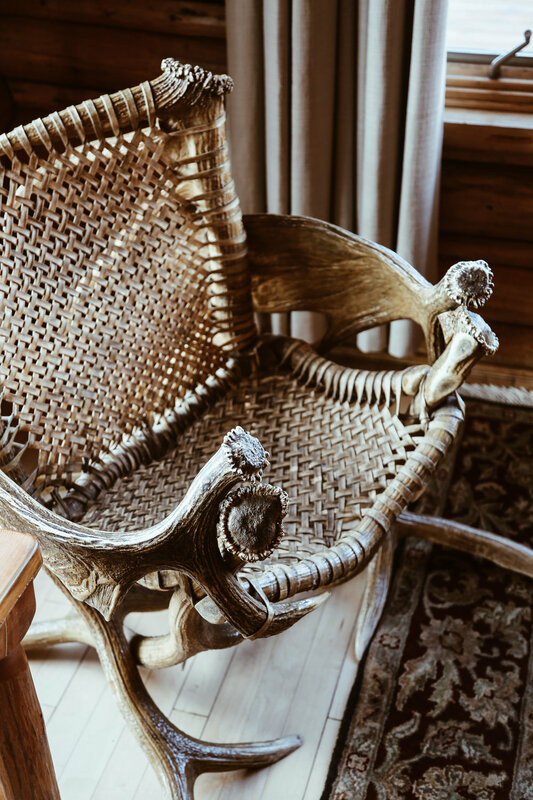 Its also perfect for experiencing a touch of the western atmosphere and decor you’d expect at a place in Wyoming, but without having to sacrifice on luxurious details and thoughtful amenities. Triangle X Ranch is actually located in Grand Teton National park. While I also didn’t get to stay here on this trip (the guest portion was closed for the off-season), we did get to spend a few hours on the property, hanging out with the local artist, Kathryn Turner, whose family founded, and still runs, the ranch. After being in operation for 92 years, being host to a variety of things, including the set for several old western movies, you can imagine the history and stories of the place are just fascinating. And while I can’t speak from experience regarding a stay here, it certainly seems like it would be pretty epic place to spend a week, whether for their summer season or winter season, between the activities, the campfire dinners, the wildlife spotting, and even getting to have your own horse for the week, not to mention having the Grand Tetons as your backdrop (no big deal!). ﻿We were fortunate to spend two nights in one of the vacation homes at Shooting Star that The Clear Creek Group manages and honestly, the experience was so incredible, I’m 1000% sure all future home rentals have been forever ruined. Between the rooms, the decor, and the views, the property is just beyond words, stunning. And then, of course, there are the TCCG details, the stocked fridge, the lights turned on for arrival, the rooms all prepped for our stay. It truly felt like coming home. In fact, luxurious details are TCCG’s specialty. Not only do they have a vast portfolio of homes to meet different needs, they’re also experts at anything from arranging excursions and experiences to hiring a private chef to prepping your home for arrival. Honestly, you’ll probably never want to leave. I know I sure didn’t. 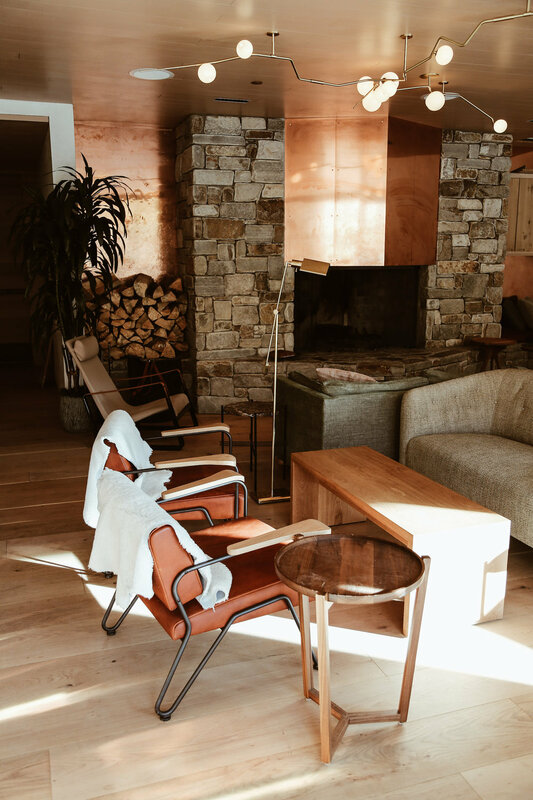 Caldera House is a luxury resort and private ski club, designed by the insanely talented local architect firm Carney Logan Burke , located right at the base of the mountain next to a tram terminal (which was also designed by CLB). While the resort was closed for the season, and we didn’t get to experience it fully on this trip, I saw enough on a tour of the property (thanks to Kelly, from Caldera House, and Sarah Kennedy, head of CLB’s interior team, who was responsible for creating the dreamy modern rustic interiors of 6 of the 8 units) to know that a stay here would be nothing short of incredible. The amenities, details and services they provide are truly on another level of luxury. (Also, if I could get CLB to come decorate my house the way even just one of those suites are, that would be great. Kthanksbye.) Oh, and good news. Even if you can’t stay there, or aren’t a member, you can take advantage of their on-site restaurant. Vertical Harvest is an awesome place doing awesome things in the community. Not only have they created a hydroponic farm to grow fresh food in a urban setting, they also have created job opportunities for differently abled individuals in the area that might not have been able to get employment otherwise. You can take a tour of the facilities, visit their on-site shop to purchase not only their produce but other locally crafted food and goods, and they’ve also partnered with many area restaurants so you can find a taste of their items at many places around town. When it comes to the outdoors, there’s obviously no shortage of activities, between hiking, fishing, float trips, wildlife safaris, horseback riding and skiing, just to name a few. But I think one of the best way to take in the land and the wildlife that inspires so many of the artists and creatives of the community, is to book a Jackson Hole Wildlife Safaris. They offer a variety of different packages, depending on season, amount of time you’re looking to spend in the field, what you’re hoping to see, etc., with experienced and knowledgeable guides, and its truly a beautiful and educational way to explore the great outdoors of Wyoming. If you only have a few hours, but still want to get a taste of the variety of cultural experiences around town, local artist, Lyndsay Rowan, offers creative walking tours, where you may do anything from checking out art galleries to meeting and chatting with local artists or gallery owners to getting to step into a creative work space, like Teton Art Lab, and observe artists hard at work on their crafts. The tour is just a really cool way to explore the local creative scene on a deeper level and get a more behind-the-scenes look of this vibrant community. For (mostly) local, artisanal goods check out places like MADE and Roam (they also offer workshops). For coffee, both Snake River Roasting Co. and Cowboy Coffee roast locally, and for edible goods, check out Persephone Bakery (more about this spot below) or Atelier Ortega, an award-winning chocolate shop. 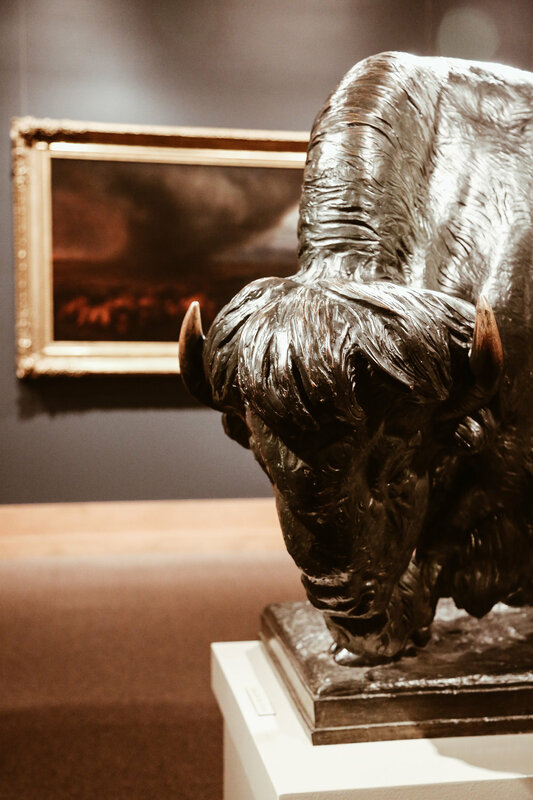 The National Museum of Wildlife Art offers something for everyone. Not only do they have a stunning collection of pieces (everything from Georgia O’Keeffe to things such as a current exhibit from local famed wildlife photographer, Thomas D. Mangelsen), they also sit directly across from the elk refuge, offering unparalleled views of this natural habitat. Families will appreciate the children’s room (that puts all the museum children’s rooms of my youth to shame) and activities specially geared towards kids, but they also have activities and events for people of all ages. And, for those who would like to take in their art outdoors, they offer a sculpture trail on their grounds. Additionally, they have an on-site restaurant (more about that below), where you can take a break, take in the view and eat a yummy lunch, too. There are so many art galleries in downtown Jackson, that you could spend an entire day checking them out, and that still wouldn’t be enough time to see them all. Suffice it to say, this is a perfect activity for a day, an afternoon, just a few hours, or, honestly, even an entire trip. A few galleries of note include: Gallery Wild (Carrie Wild is a painter and her husband, Jason Williams, is a photographer; they also own a wildlife tour company, which I’ll talk about below), Turner Fine Art (owned by artist, Kathryn Turner, whose family runs Triangle X Ranch, mentioned above) and The Brookover Gallery (a gallery showcasing stunning wildlife photography). Honestly, though, you can set foot down just about any street in downtown and you will find at least one gallery on every block and around every corner. There is truly a space that speaks to any and all artistic styles and preferences. During the summer you can check out the Grand Teton Music Festival (although they do offer other events and performances throughout the year). While we were in town, Bill T. Jones/Arnie Zane Company was also in town for their residency in partnership with Dancers’ Workshop (a local dance group that provides performances, classes, workshops and hosts guests artist from the dance community), and we were lucky enough to get to peek in on one of their rehearsals. There’s a wildlife film festival, put on by Jackson Hole WILD, a company dedicated to bringing awareness to the world of nature via media. At The Center for the Arts, Off Square Theatre Company, a theatre company that makes theatre performances and education accessible for the entire Jackson community, was setting up for their latest performance. And, speaking of The Center, there is no shortage of performances, movie screenings, events and class available here. It’s truly the epicenter of Jackson’s cultural community, so if you’re looking for something creative to do, a class via the Art Association of Jackson Hole to take, a performance to watch, etc. chances are they’ll have it. Another excellent resource to check is Daily Wonder’s calendar, as they conveniently gather and share the details of each and every creative activity happening around the entire community, every single day, all in one spot. Huckleberries grow wild in the area and seem to have consequently become one of the unofficial foods of the town. Hence, you will see it on a lot of menus and used in a lot of dishes. And while we’re on the topic of local cuisine, trout, elk and bison are all regional items that you’ll see on many of the menus in the area. Lastly, if you’re curious about the local drink of choice, be sure to ask for a sloshie (aka a boozy slushy). Unfortunately, I didn’t get to try one as they are typically a summertime specialty, but I heard only good things. Persephone Bakery // A great option for breakfast, lunch and/or coffee (They use Intelligestia! ), both to sit down on location or to take on-the-go, and definitely one of my favorite spots we tried; everything tasted so fresh and delicious (they source many products locally, including using items from Vertical Harvest), from the vegetables in the veggie sandwich to the perfectly cheesy ham and cheese croissant I grabbed fro breakfast on my last morning in town. Oh, and don’t forget about their cookies. So yum! They also sell a variety of artisanal goods in their storefront (or you can buy online), both for kitchen and home, as well as some of their own products, like their cookies, granola, homemade Nutella (Yes, please!) and an emergency s’mores kit (Ummm say what??!). Cowboy Coffee // If you’re looking to just grab a coffee and/or get some work done, come here. They have a large menu of specialty drinks (I tried and loved the Honey Badger!) and plenty of space to set up and work. They also function as an art venue, displaying pieces on the wall, which are available for purchase (Super cool!) and they roast their own coffee. Aspens Market // Think deli-meets-grocery-store-meets-cool-upscale-country-mart. Not only can you pick up groceries, they also send all kinds of artisanal goods, everything from chocolates to candles to wrapping paper to natural beauty products (I even spotted my favorite RMS products!) to home items, and they have an amazing selection of fresh prepared foods along with a deli counter. Come in and grab one of their sandwiches (they have a variety of build-your-own, hot, cold or specialty) if you’re looking for a more relaxed lunch in between activities or if you’re needing something to take on-the-go. Pro tip: Get the cranturkey. You won’t be disappointed. Nora’s Fish Creek Inn //A classic spot that’s been around for years and has even been featured on one of my favorites, Diners, Drive-Ins and Dives; it has a bit of a diner-meets-cabin feel and menu and is a perfect spot for breakfast. Don’t miss the biscuits and sausage gravy! Palate // If you’re looking for a bite to eat while at the museum, pay Palate a visit. You won’t regret making time to take in the epic view (it looks out over the elk reserve) or the delicious food. I especially appreciated some of the more unique items on the menu, such as the bison gyro, which I got and loved! 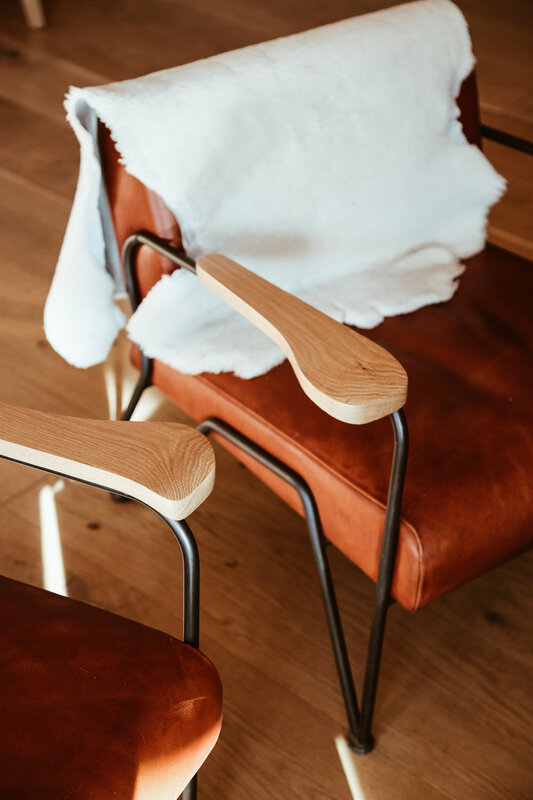 Bin 22 // A wine wine bar that puts together some delicious cheeseboards (that include their house-cured sausages); perfect spot for a little post-exploring (or skiing) happy hour. Osteria // If you’re staying in Teton Village (or, let’s be real, anywhere in the Jackson area), this spot is not to be missed. Think yummy Italian comfort food, in a cozy setting at the base of the slopes. What could be better?! I suggest ordering a few antipasti and pizze for the whole table to share, but I also absolutely loved their creste rigate (a pasta dish served with a decadent creamy, garlic sauce and more mushrooms than I knew what to do with). Two more not-to-be-missed items (that are also perfect for sharing)- the Brussel sprouts and their ice cream sandwiches (a specialty of theirs). Orsetto // An amazing dinner spot in downtown Jackson Hole; I personally loved that several things on their menu, like their delicious Little Gem Ceasar, included my favorite chilis, Calabrian chilis, and they also used Vertical Harvest produce in some of their dishes, like the roasted tomato bruschetta (A must-order for the table). They also offer lots of hearty items on their menu (think chicken parm and baked manicotti), which are just the perfect thing to eat after a cold day. Snake River Grill // This spot is a well-known favorite that’s been around 25 years. Its rustic yet elegant vibes feel sophisticated, but also incredibly warm and cozy, and the food doesn’t disappoint. They have a wide variety of dishes, including an array of things, such as the branding iron of onion rings, that are perfect for sharing. Just make sure you save room for their infamous chocolate soufflé and an order of their eskimo bars (one of Giada DeLaurentiis’s favorites). 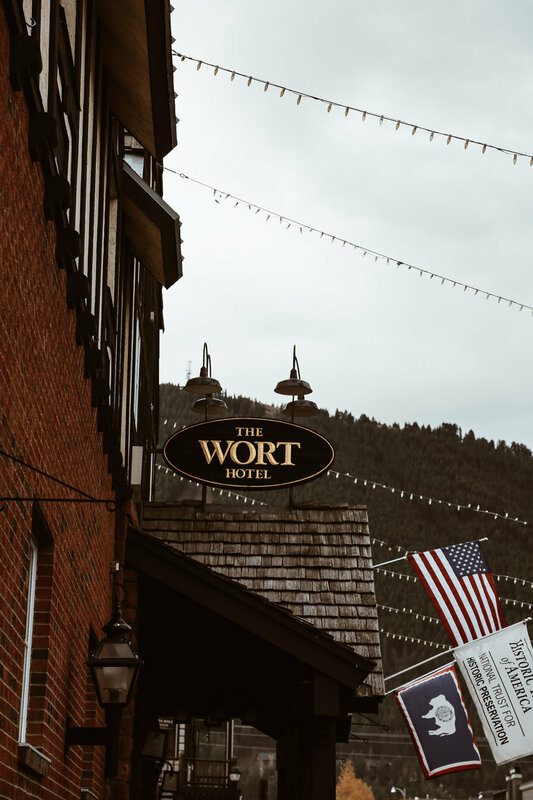 The Million Dollar Cowboy Bar + The Silver Dollar Bar // Both local gems full of history; you kind of can’t come to Jackson and not NOT go to these spots for a drink (especially if you’re staying at The Wort as the Silver Dollar Bar is a part of their hotel, and the cowboy bar is just around the corner). Notes about Dress Code: Overall the dress code is pretty casual. No one gets too dressed up (Minus their Chanel bags ;D), even for the nicest restaurants, so yes, black jeans and a button down or sweater are perfectly ok (and no, that dress I brought never made it out of my suitcase). Notes About the Weather: The weather is a bit transitional the time of year that I was visiting, so while it definitely warmed up enough to be in a t-shirt and jeans one day, the last day I was freezing and definitely had on alll my layers, hats, gloves, etc. *Busy seasons are summer (for wildlife viewing) and winter (for skiing). *Many places temporarily close, or run on limited hours, in the off-season, which is usually November until the beginning of December/the holidays. 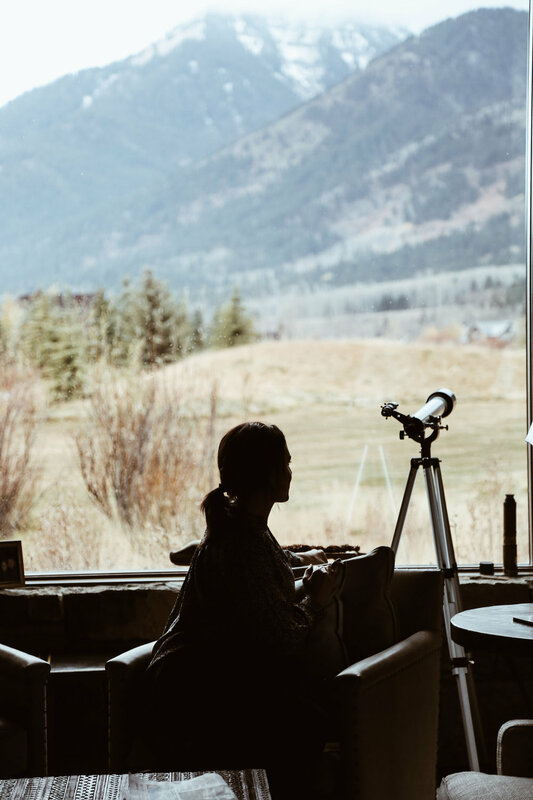 *For additional resources on planning your trip, you can check out Jackson Hole’s site, and, to plan the cultural side of your travel itinerary, don’t forget to check out Daily Wonder’s calendar.